Owning a historic home in Kentucky has many advantages. Unfortunately, there are also many special considerations that come along with owning a historic home. One of these special considerations is window replacement. But My Windows Are Fine. You may believe that the windows in your historic home are just fine because they look good and appear to be in good condition. Unfortunately, that is often not the case. In fact, many people wrongly believe that historic homes are naturally drafty, but the draftiness is usually a result of having windows that need to be replaced. But My Windows Fit the Look of My Home. While it is certainly true that historic homes require a different level of care and concern when it comes to selecting replacement windows, the fear of ruining the aesthetics of your home with new windows should not be a concern. Most manufacturers have a wide array of window designs to suit any historical home or building. Additionally, if you would really like to match the design of your home, many window manufacturers are open to discussing custom designs. But My Heating and Cooling Bills Aren’t That High. Even if your heating and cooling bills do not seem that high, you will definitely save money by simply replacing the windows in your historic home. Do not set yourself up to pay far more than you should every year in heating and cooling costs – look into window replacement today! Clearly, you live in a historic home for a reason and enjoy the many design details that historic homes offer. If you have been putting off window replacement because you fear ruining the design aesthetic of your historic home, rest easy! There are plenty of beautiful options available for window replacement for your historic home. 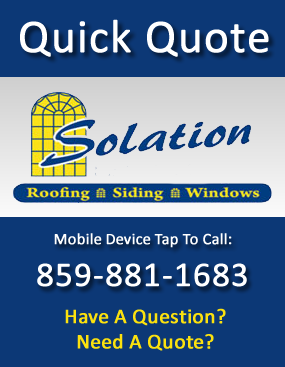 For more information call Solation Windows today at 859-881-1683.